It’s been 40 years since “Joseph and the Amazing Technicolor Dreamcoat” first hit the London stage, 31 years since Andrew Lylyod Webber’s music and Tim Rice’s lyrics told the story from Genesis on Broadway, and it’s twice before had runs at the Chanhassen Dinner Theatres, the latest only four years ago. No mind. It just doesn’t get old. Not the way director Michael Brindisi and the company at the Chan play it. Days later the tunes are still running through my head, of course, but what makes the Chan special are the sight-gags that are so well-timed and well-played, along with the way all the actors, all 27 of ’em, are engaged all the time. Take your eyes off charming Jodi Carmeli as she narrates the biblical story or off leading man Jared Oxborough as Joseph, and every single player is in character, doing his or her part to add to the action. A good example are the way all 11 of Joseph’s brothers have a different way of expressing the distain for their favored-child brother; no two actions are alike, each a creative movement that’s perfect for the scene. With the dancing, the great costumes and the clever props,it’s what a night’s entertainment ought to be. Seems like we have waited forever for spring to arrive this year. Less than two weeks ago, snow covered portions of southeastern Minnesota and western Wisconsin. And, on May 5, I walked through a snow-covered field to turkey hunt near Ellsworth, Wis.
Now, things are finally greening up, and I’m seeing the first flower blooms of the year. It’s a very welcome sight! As I was walking past the Cathedral on my way back to the office the other day, I spotted some flowers in the Cathedral courtyard. Naturally, I pulled out my camera and zoomed in on the splashes of pink in front of me. Taking in the scene definitely put a smile on my face. With the heat we’ve had this week, leaves on the trees have popped fast. Just a week ago, the trees were bare. Now, we’re near full foliage. With green as my favorite color, this is a beautiful display, indeed. It also will be very helpful next week when I go turkey hunting during Minnesota’s final season. The H Season starts on Friday, May 24. The foliage will help conceal me so that I can move in closer on birds. That always helps. And, hopefully, the hens will be done laying their clutches of eggs and will be sitting on their nests. They lay one egg a day up to about 15 or 16, then sit on their nests to incubate their eggs almost round the clock. The first few days this happens, the toms are actively cruising for hens and can be very eager to come to a call. That’s what I’m hoping for. Eventually, their excitement will fade, but I’m hoping it will last into the H Season. In a normal year, the toms are more subdued by this time, but still have some interest in breeding. This year, they may be far more active, making Season H perhaps the best season of the entire spring! Originally, I was going to hunt Season E down near Cannon Falls. But, that didn’t work out. So, I called the landowners of the two adjoining properties I was planning to hunt, and asked them if I could switch to Season H. Thankfully, both of them said yes. Although you can buy the tags over the counter for Seasons E through H, and there is no limit to the amount of tags the DNR will offer, I think there will be fewer hunters in the woods, especially for Season H.
Generally, once fishing season opens, people put away their shotguns and bows, and pick up their fishing rods. I understand that, as I used to do the same thing. But, I have discovered in recent years that turkey hunting can be good in May. And, the fishing season goes a long time, so there is plenty of time to wet a line after my hunt is done. So, starting next Friday, I will take to the woods in search of a nice gobbler. To me, there’s no better way to enjoy spring! 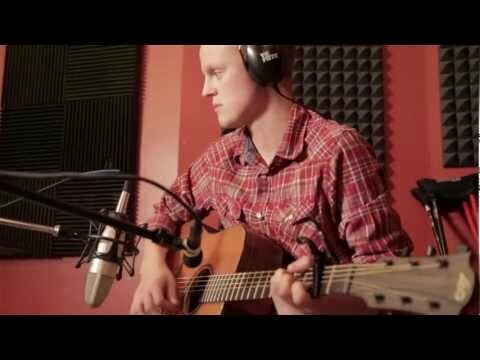 Zach Sobiech, whose family’s story of faith and devotion in the face of a rare form of bone cancer may be found at TheCatholicSpirit.com (In the quiet stillness of suffering, Mary resides) wrote a song which has become a viral hit. 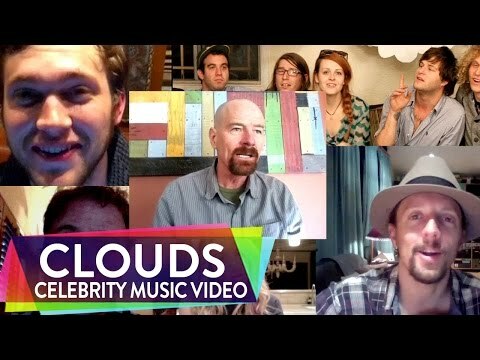 The song “Clouds” caught the attention of Rainn Wilson (Dwight on The Office) who has a show on a quirky YouTube channel called “SoulPancake.” He gathered a number of celebrities to create a response video to honor Zach and help raise awareness and funding for research of osteosarcoma, the cancer of which Zach is afflicted. A snowy landscape made for an interesting backdrop for this Wisconsin turkey hunt. As I arrived to my hunting spot near Ellsworth, Wis. on Sunday morning for a “spring” turkey hunt, the landscape was radically different from previous years. I just finished my Wisconsin season, which ran for seven days. On the first evening, snow started to fall where I hunt. When it was finished the next morning, there was 13 inches on the ground. So, I did not hunt for the next three days. I went back out on Sunday morning. Some snow had melted, but there was still lots on the ground. I hunted a very nice piece of property where my sons and I have killed birds over the last six years. Turns out there was a fired up tom roosted just a few hundred yards from where I parked the car. The snow didn’t seem to keep the toms from doing what they like to do in the spring – court the ladies. It was tricky to slip in close because there were no leaves on the trees, and the blanket of snow added more light. I couldn’t get in as close as I would have liked, but I got into the section of woods where this gobbler was roosted. I ended up sitting down against a tree in a blanket of snow, which I had never done before. The tom was gobbling hard on his own, then I heard a hen yelping. I mimicked her a couple of times, then she shut up. I was hoping he would fly down before she did, which is exactly what happened. He was hot to trot and flew down into the field and continued to gobble. I called softly, then quit. He kept working toward me in the field, and I was convinced I would see him in an opening in the brush on the edge where he was walking. I wanted to sit right along the edge, but felt it would be too risky in terms of him seeing me from the roost. So, I tucked in around the corner, about 30 yards from the edge. Had he walked right along the edge, I would have had a nice 30-yard shot. But, as it turned out, he walked about 20-30 yards out into the field. That put him at about 50 yards or so. Had he stopped in the opening and ran his head up, I would have taken the shot. Instead, he walked right through it and continued toward the corner. I did not shoot because I wasn’t sure I could knock him down. He reached the corner, but there was a lot of thick brush between me and the bird. I turned to the right hoping he would round the corner and come on in. He only needed to go another 25-30 yards and I would see him again. What did he do? He stayed right at the corner and continued to gobble. I waited, then did a little more soft calling. Over the years, I have used soft calling to lure the bird the final steps into range and into a clear spot for a shot. He gobbled right away, but stayed put. More than likely, he wanted that hen to come out and show herself. I’ve played this game before, and knew it was time to shut up. A lot of guys can’t stand it when a bird hangs up, so they keep calling. I have learned that staying quiet usually causes a bird to get curious and come in looking. I knew he didn’t have any hens with him, and he already had come this far. Plus, there was absolutely no obstruction between him and I, so there was no reason for him to hang up. Then, he went quiet for a bit, and that’s usually when the bird is moving. So, I got my gun up and ready, then took the safety off. He gobbled again, and seemed a bit closer, but still had a little ways to come. I kept my gun up, and finally took the safety off. Only about a minute later, I caught movement to my left. He walked out into the field about 20 yards and finally cleared the brush and reached an opening. I should have done what my friend suggests and made a call to get him to stop and raise his head. But, in my excitement, I put the bead on him while he was walking and fired. With his head pulled in toward his body and not raised up, I ended up putting more pellets into the body than I would have liked. In fact, I broke his wing. But, the end result was good – the bird went down! My shot was about 30 to 35 yards, which was well within the range of my shotgun. I was worried that that the breast on the side facing me would be riddled with pellets. That happened last year on a similar shot. Amazingly, when I breasted out the bird, I didn’t find any pellets on either side. The two breast halves are now in the freezer. The only tough part was I sliced my thumb when I was breasting out the bird. I had just sharpened the fillet knife, so it went right into my thumb. I went to the Urgency Room and they actually used some type of glue. Oh well, a small price to pay. Steve Huettl sits in the snow with the bird he took in Wisconsin last week. My friend, Steve Huettl, hunted the same season and went out into the snow like I did. However, he did not wait until Sunday. He went out Friday afternoon and actually stalked in on a nice gobbler that had hens with him. He snuck in close and shot the bird. That’s not the way the game is usually played, but you have to adapt to varying conditions. Last year at this time, the trees had leafed out, and the hens were sitting on their nests incubating eggs. With the ladies absent, the toms were left lonely in the woods. This year, Steve says the birds are “henned up” right now in the areas hit hard by the snow. He believes the snowstorm wiped out all the eggs the hens had laid, meaning they had to start breeding all over again. That makes for very tough hunting. So, he told me to count my blessings that I was able to get a bird to come in, and come in without any hens around. As I am writing this blog, the jury is still deliberating in the murder trial of Dr. Kermit Gosnell. You’ve heard about him, or perhaps not, the media hasn’t given this case of the atrocious abortionist much ink. So, I decided to list some of my frustrations (in no particular order). Frustration #2: The staff at this “House of Horrors” threw the bodies of aborted children into bags, orange juice cartons, milk jugs and cat food boxes. What a complete disregard for human life! It’s because of this disrespect that they call the babies “fetuses” or “blobs of tissue,” wrench them from their mothers and toss them into the garbage. Frustration #3: A 41-year-old Nepalese woman lost her life from an over-dose during an abortion at his clinic (she was over-sedated). Where is the concern for the health of women and girls? Frustration #4: Gosnell, aged 72, used a procedure called “Snipping.” He would cut the spinal cords of premature babies at the base of their sculls causing their deaths. Frustration # 5: Four babies were born alive during illegal, late-term abortions in his clinic…and then they were killed. THIS IS INFANTICIDE! THIS IS MURDER! The prosecutor cited Pennsylvania law stating that if a baby delivered during an abortion “shows any sign of life, it’s considered alive–a heartbeat, breathing, a cry, movement.” (New York Times) And staff testifying in this case say that the four babies did indeed have signs of life. Frustration #6: He failed to counsel patients a day in advance of the horrific procedures, and during the abortions, he often turned the ultra sound screen away from the women/teens so that they didn’t see the babies’ images. Frustration #7: Dr. Gosnell charged $3,000 for his meat-market style of assembly line abortions. Most of his patients were poor, and their late-term abortions were illegal. The bigger the baby, the more he charged. He joked that one baby was big enough to walk him home. Sometimes Gosnell and his wife, Pearl–a cosmetologist–performed late-term abortions on Sundays when nobody else was around. Frustration #8: Some of his staff was not licensed (like his wife). Yikes! If you know of any other atrocities about this case that you’d like to add to my list, please write them in the “comments” section below. Doing so will help to get the word out! Thank you!